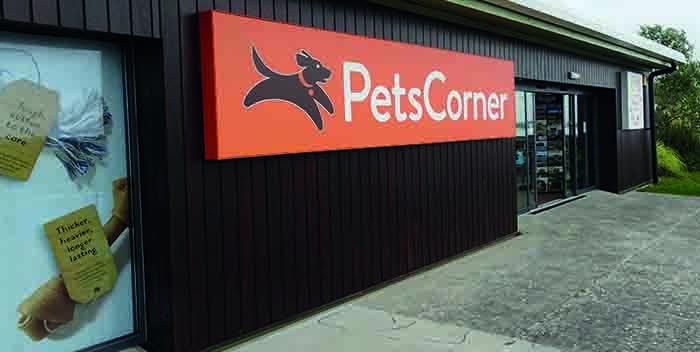 Pets Corner has welcomed a 4.7% like-for-like sales increase in its first quarter, as the retailer opened its 150th store in Cobham, Surrey. Between October and December 2018, the chain’s earnings before interest, tax, depreciation and amortisation (EBITDA) rose by 8% to £3.5 million compared with the same period last year. Its in-house pet grooming spa, Dogwood Natural Grooming Spas saw a 64% like-for-like sales increase in Q1 2019. The spas operate from nine locations and the retailer plans to open 60 more over the next five years at a cost of £2.7m. For the year ending September 2018, Pets Corner recorded a turnover of £56.5m, saw £8.1m EBITDA and like-for-like sales were up by 5.8% The company forecasts a turnover of £58.3m and EDITBA of £8.7m for the year ending September 2019. Dean Richmond, CEO of Pet Family, Pets Corner’s parent company, said: “Over 60% of our stores have been refitted to include our new services including Puppy Hour, Pet Food Expert and our new ROR range of raw foods. In addition, Yora our new sustainable pet food has been a tremendous success. These new, exciting initiatives and products are encouraging customer loyalty and increasing sales.